While the Baldwin County Public School System’s plan to allow county school districts to approve local taxes that would generate millions in funding for individual feeder patterns, two members of the school board say the plan calls into question the system’s ability to provide “fair and equitable” educational opportunities countywide. The board approved the creation of special tax districts, each with the power to levy 3 mills of property taxes which would be used within the boundaries of the system’s seven feeder patterns. The 5-2 vote approval will allow voters in each district to decide whether or not they want the tax. Figures provided by the Baldwin County Public School system show a 3 mill special tax district in the Gulf Shores High School feeder pattern would generate an additional $5.5 million per year and $79.5 million in bonding power, while a Fairhope High School feeder pattern tax district would bring in $1.8 million per year and $26.7 million in bonding power. Those dollars would be spent within each respective feeder pattern district. However, an additional 3 mill tax in District 1 in the Baldwin County High School feeder pattern would generate just $623,145 in revenue and $8 million in bonding power, the lowest of all the feeder patterns. Similarly, the tax would generate $713,157 and $842,159 in additional revenues in the Robertsdale and Spanish Fort high school feeder patterns. Board member David Cox, who represents the BCHS feeder pattern, and Tony Myrick, the Robertsdale feeder pattern representative, voted against the measure. Cox said even if voters in the BCHS feeder pattern approved the tax, it would not be enough to build a much-needed elementary school. Myrick said the special tax districts will make it harder to get approval of the penny tax renewal, which is set to expire in 2018. The penny tax, the county’s one-cent sales tax earmarked for education, was first approved in 2010 and renewed by voters in 2012. An effort to make the tax permanent failed in 2012. The tax will expire May 31, 2018, unless the Legislature acts to renew it before then. The inequitable amount of money the special tax districts would provide in each feeder pattern is also cause for Myrick’s concern. Municipal leaders in both Gulf Shores and Fairhope have expressed interest in special tax districts. In Fairhope, the city’s Education Advisory Committee paid $49,000 for an academic audit from the Akribos Consulting Group. Among the consultant’s recommendations for improving Fairhope schools was the approval of a 3 mill special tax district. Diana Brewer, the Fairhope City Council’s EAC liaison, said additional funds from a special tax district could help the city achieve the goals described in the Akribos study. Baldwin County Board of Education attorney Scotty Lewis said he expects the school system to reach out to leaders and parents in each feeder pattern to gauge their interest in the proposed tax districts. Afterward, Lewis said the board and the Baldwin County Commission would have to pass resolutions to have a local tax measure placed on a ballot. According to Lewis, as long as the measures are placed on the ballot during a regularly scheduled election there would be no additional expense to taxpayers. At this time Lewis said no formal discussions have taken place regarding the tax districts being placed on any upcoming ballot. “There is enough time to do that, but as of right now nothing like that has taken place,” Lee said. Myrick is also concerned about the amount of time the taxes would be levied, saying it could be anywhere from 10 to 30 years. Currently there are two tax districts contributing funding to the school system — District 1, located near Little River in north Baldwin County, and District 2, which covers the rest of the county. Property owners in District 2 pay 30 mills in state, county and school taxes. Property owners who live in incorporated municipalities pay additional mills. 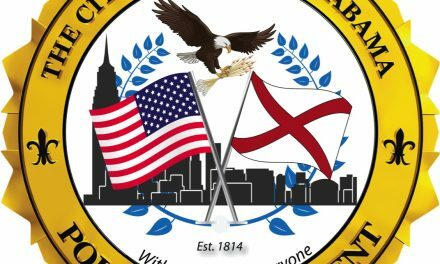 In Gulf Shores and Orange Beach, property owners pay an additional 5 and 4 mills, respectively, while in Fairhope they pay an additional 15 mills in city property taxes.